Jan and Dionisio’s daughter Rosa married Elric Kline in the property. 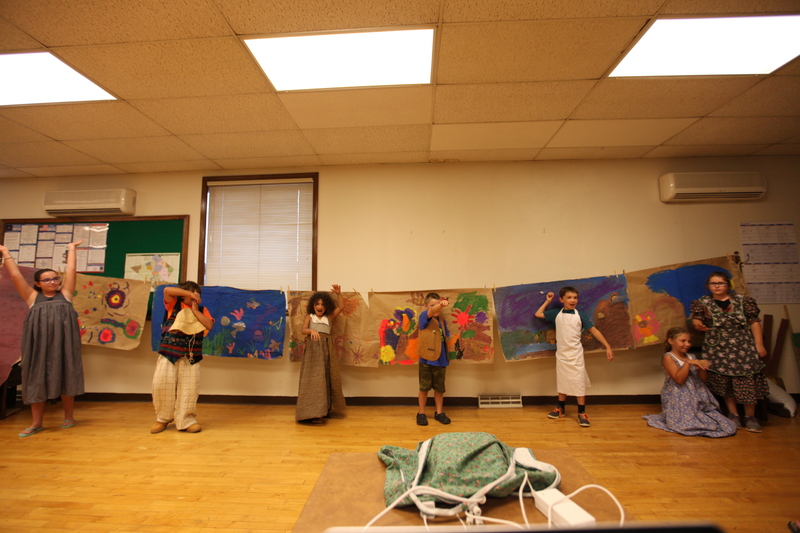 Jan, with the help of Dhira, Julia, and artist Jody Wood, offered a 6-week long theatre and animation workshop to children in the Playground Program at nearby Alsace Township. The goal was to add an inter-generational component to a local history project that some of the older members of the township have initiated. Thanks to Berks County Community Foundation for support. Saturday, September 19, 2015, 1 – 5 pm: Introduction to each other’s art and underlying traitions. See Pepón’s art and discuss how tradition both nourishes and hampers creativity. Please bring something that captures a childhood tradition. Saturday, September 26, 2015, 1 – 5 pm: Hands-on ceramic & performance workshop, playing with tradition & innovation. Participants will leave with their own ceramic creation. $30 materials fee (subsidies available). Sunday, October 11, 2015, 1 – 5 pm: Potluck with workshop participants, friends, and family to see the work instigated by the workshop, eat, and expand the conversation about tradition in a changing world. Artist/workshop facilitator and MacArthur Award recipient Pepón Osorio is a professor of art at Temple University. His work has appeared in museums, galleries, storefronts, department stores, and homes around the world. What cultural traditions are alive and well in Berks County? Who lives here now and where did we come from? Does our inner picture of this community reflect the outer reality? Through music, dance, and stories, we hope to learn more about some undiscovered territories right in our own backyard. A schoolteacher by vocation and performer by avocation, Keith is the President of the Kutztown Folk Music Society and Music Coordinator of the Lyons Fiddle Festival. He will play traditional Pennsylvania German instruments & provide historical context. Originally from Peru, Daniel has given workshops and taught classes on Salsa, Merengue, and Bachata. Daniel will demonstrate and teach us traditional salsa dance, alive and well in Berks County. Attendees will be invited to share a story about how they/their family came to the region, what keeps them here, and their hopes for the region’s future. 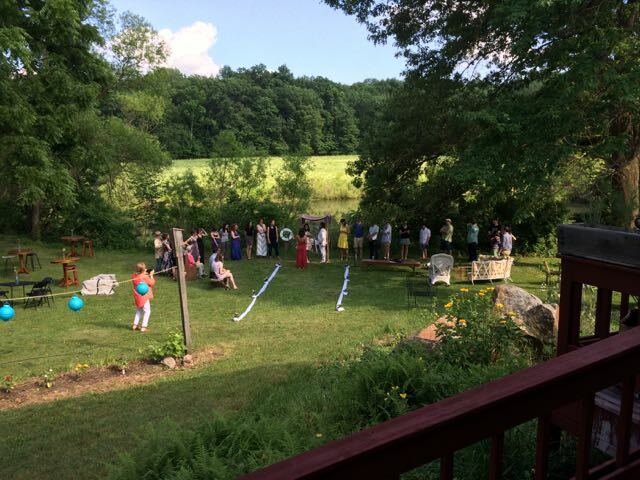 Art in the Fields is a rural Pennsylvania retreat integrating the arts with other disciplines. For more information about this event and future projects contact Jan Cohen-Cruz.